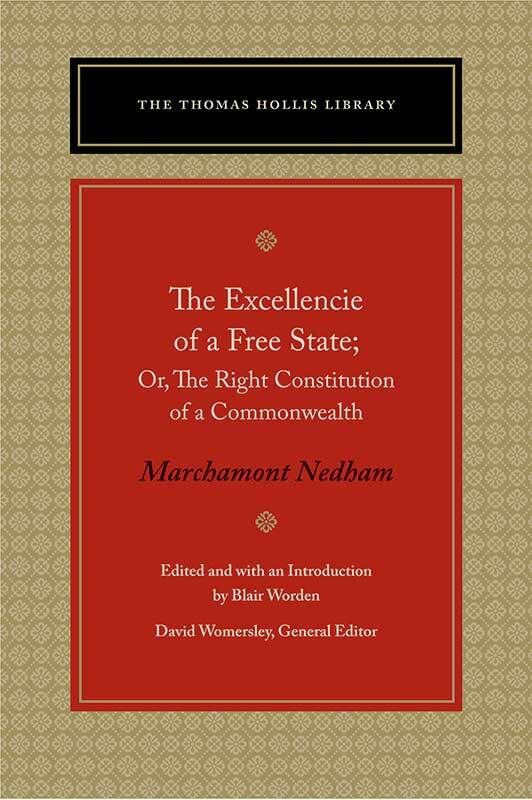 This edition brings back into print, after two and a half centuries, the pioneering work of English republicanism, Marchamont Nedham’s The Excellencie of a Free-State, which was written in the wake of the execution of King Charles I. First published in 1656, and compiled from previously written editorials in the parliamentarian newsbook Mercurius Politicus, The Excellencie of a Free-State addressed a dilemma in English politics, namely, what kind of government should the Commonwealth adopt? Marchamont Nedham (1620–1678) was a polemicist, pamphleteer, and editor of Mercurius Politicus. Blair Worden is Emeritus Fellow of St. Edmund Hall, Oxford. Editor's preface, editor's introduction, appendixes, annotations, index.